For the past 60 years, Pierre Paulin had a major impact on our everyday environment through shapes as sweet as memories, seats as braced as sculptures, spaces as undulant as sand dunes, and objects whose innovative style shape our daily life without our knowing it. 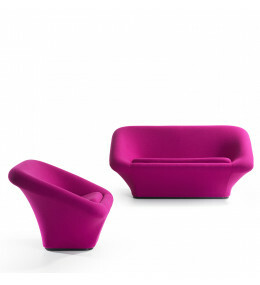 Pierre Paulin was one of the few designers who never ceased to be modern. Pierre Paulin died on 13 June 2009 in a hospital in Montpellier (France). The French president Sarkozy honoured him as "the man who made design an art". In November 2009, Paulin was posthumously awarded the distinction of "Royal Designer for Industry" (RDI). Little Globe Chair with rounded shell on a chromed pedestal offers an elegant stylish lounge seat. 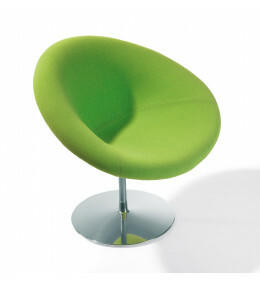 Nest is compact soft seating for office breakout zones and contemporary reception areas.